The first thing that you will want to consider when looking at rearview backup video cameras is the type of monitor. Note that not all backup cameras come with a monitor. 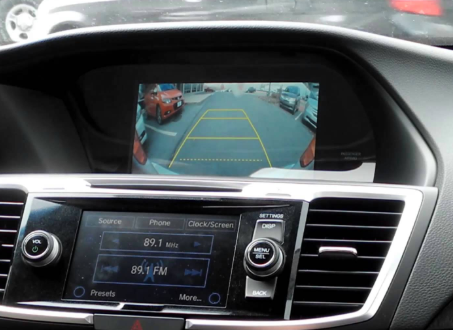 This may be preferred if your car already has an LCD monitor, such as a DVD player or GPS system that can be connected to the camera. If not, then you will probably want to buy a camera that comes with the monitor. Installation will be easier and you may even get a better deal by buying the items as a set. Rearview mirror monitor. This type has easy installation and doesn’t take up much room on the dashboard. The down side is the the image size is very small. Dashboard monitor. This type usually has a larger screen with hi-res options available. But they do take up more space on dashboard and can obstruct view out the front window. In-dash monitor. This kind of backup camera doesn’t take up room on dashboard or obstruct views. However, the installation process is much more complex. Since the point of a rearview backup camera is to help you see, video quality should be one of your primary concerns when choosing a system. There are two basic types of camera technology used in rearview backup cameras: Charge-Coupled Device (CCD) and Complementary Metal Oxide Semiconductor (CMOS). CCD technology produces a far superior image quality than CMOS. It generally has much better resolution and a lower Signal-to-Noise Ratio. CCD technology is what you will find in most rearview backup cameras systems. However, because CMOS technology is so much cheaper, you will find this used in many cheap, generic systems. You will also want to look at the resolution of the camera. 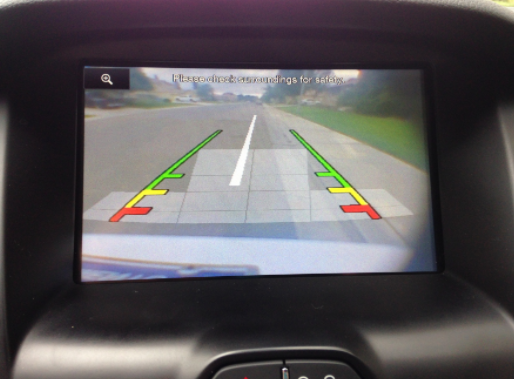 As a general rule, you will want to look for a backup camera for your vehicle that has a resolution of at least 480. Otherwise, the image may not be clear enough to produce a good view. Don’t forget to note whether the image is given in color or black and white. Viewing angle is another one of the most important features to look for when choosing a rearview backup video camera. If the viewing angle is too small, such as in the 30-40 degree range, then you will still probably have blind spots. Most vehicle owners will want to purchase a camera with at least a 90 degree viewing angle, though 130 to 180 degrees is still better. Some cameras have special features to improve the range of view, such as tilt and pan. While nice to have, these features are generally only necessary on very large vehicles like backup camera systems for RVs or trucks. Looking for a Quality Backup Camera & Installation Service Near Middletown? AutoWorks is a automotive shop that also offers & installs car audio systems & electronics to towns in the Monmouth County area. We serve serve towns including Middletown, Red Bank, Oceanport, Rumson, Little Silver, Marlboro, Manalapan, Long Branch, Holmdel, Ocean Township, Lincroft, Shrewsbury, West Long Branch, Fair Haven, and many more. To learn more about our car subwoofer installation services and other services contact us today at 732-671-0225 or visit the website.